The reasons why we need to use sunscreen are pretty well known at this point and more and more people are increasingly taking measures to protect themselves from the UV rays. And it’s not just at the beach either — moisturizers and creams with SPF protection are becoming more and more common. However, we often don’t think about another important part of our body that is affected by the sun’s rays as well — our eyes. Though sunglasses, of course, play an important practical role, we often simply use them as accessories too, and so the sunglasses we’re purchasing maybe aren’t the most effective. Sunglasses are a dime a dozen — we break, sit on, or lose a pair of sunglasses every 14 minutes or so! But if you’re a big outdoorsman or exercise outside a lot — or even just spend a lot of time driving to and from work, polarized lenses are something you should consider. Why Are Sunglasses So Useful? We’re well aware of sunglasses as a fashion statement, but many times this fashion has stemmed from a practical purpose. For example, the popular brand Ray-Ban designed anti-glare aviator style sunglasses in 1936, seeing WWII approaching. The glasses used Edwin H. Land’s polarized lens technology, who was the founder of the Polaroid Corporation. These glasses were given to aviators for free. 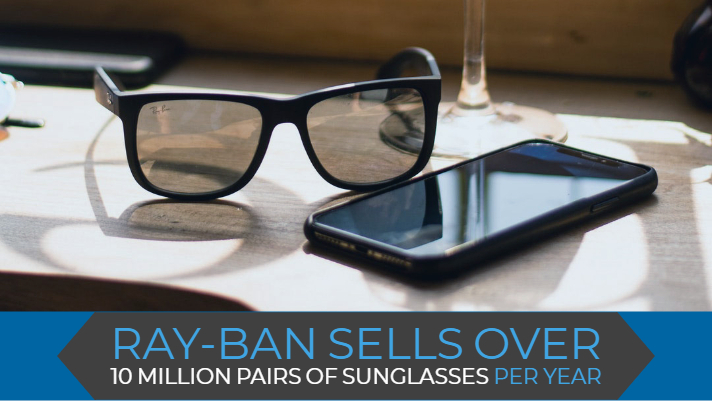 What started as a practical thing became intensely popular — in 1998, Ray-Ban sold 10 million units across the world and the brand has become famous, thanks to celebrities. They’re still a popular brand today! Sunglasses essentially help shield your eyes from the sun’s direct rays and reduce glare, so you can go about your business even on an especially bright day. They might make operating machinery or spending time outside more pleasant. They can also help reduce your risk of skin cancer, cataracts or glaucoma, macular degeneration, and shield your eyes from debris. You might also experience less eye strain (and consequently fewer headaches) and be safer on the road, because of reduced glare. Polarized lenses are clear lenses that are especially chemically treated, and often come with anti-glare technology for an improved visual experience. Typically those who boat or fish have used polarized lenses to help combat the glare off the water, which can intensify the sun’s rays. However, in recent years, they’ve become more popular among everyone and many sunglasses companies or brands will now offer some type of polarized lens option. You’ll likely also want an anti-reflective coating applied to your lens as well, which your eye doctor can easily do for you. It’s usually good to have a spare set of sunglasses around that aren’t polarized, just in case, and having replacement lenses on hand if you need them, especially if you’re outdoors. We’ll dig a little deeper into how they work, below. The chemical that polarized lenses are treated with is meant to filter light in a specific way. The light gets filtered vertically, so only rays that come at your eyes vertically can enter. Since light that shines off the water or any other flat surface will approach horizontally, that light is blocked. The resulting image is often darker, but may be clearer or include more details than without the polarized lenses. Do keep in mind that some activities are not safe with polarized lenses — like with downhill skiing for example — and they may make LCD screens harder to view. This means dashboard controls on a car or boat, your phone screen, gas pumps, ATM’s, etc. However, as polarized lenses do become more popular, some manufacturers are adjusting their screens to work with polarized lenses. Take care of your eyes this summer and get yourself some high quality sunglasses. Polarized lenses are a smart purchase, especially if you spend a lot of time outdoors and are active on the water.